A day after the GOP unveiled its plan promising middle-class relief, the House’s top tax-writer, Rep. Kevin Brady, released a revised version of the bill that would impose a new, lower-inflation “chained CPI” adjustment for tax brackets immediately instead of in 2023. That means more income would be taxed at higher rates over time — and less generous tax cuts for individuals and families. The change to the plan frees up money for Brady, R-Texas, the committee’s chairman, to use to address concerns by lawmakers when changing the bill further next week. 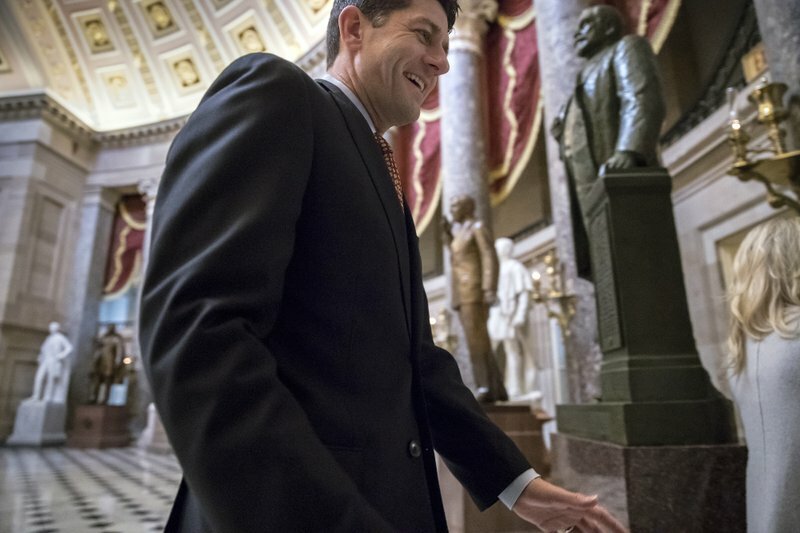 The Ways and Means panel begins work on Monday, a final bill-writing process expected to take four days. President Donald Trump and the Republicans are driving to push through a major tax-cutting bill this year to secure a legislative accomplishment, following their stinging failure to overturn and replace the Obama health care law. The Republicans, facing increasing pressure to produce a marquee legislative victory before next year’s elections, are promoting their tax plan as a spark for economic growth and a boon to the stressed middle class. While Trump and House Republican leaders stand united behind the plan, rank-and-file GOP lawmakers are divided and complaining about its potential blow to homeowners and the loss of a prized deduction that especially hits high-tax states. And Trump is pressuring Republicans to repeal a health-care law penalty in the tax rewrite, a step that Brady indicated is politically problematic. Some of the GOP lawmakers agree. “The president feels quite strongly about including this at some step,” Brady said in an interview with Politico. The Congressional Budget Office has estimated that repealing the individual mandate would save $416 billion over a decade. That’s because without it, fewer people would enroll in Medicaid or buy federally subsidized coverage on insurance exchanges. The money represents a tempting revenue source for GOP tax writers whose plan for extensive tax cuts would add an estimated $1.5 trillion to the nation’s debt over 10 years. An influential conservative lawmaker, Rep. Mark Meadows, R-N.C., said Friday that repealing the health care mandate needs to be part of the tax bill. He said he believes a majority of Republicans in the House share that view. But Brady pointed out the Senate has been unable to muster enough votes for any health care legislation. “There are pros and cons to this. Importing health care into a tax reform debate does have consequences,” he said. Republicans have set an ambitious timetable for the first revamp of the nation’s tax code in three decades, one that would touch virtually all Americans and the economy’s every corner, mingling sharply lower rates for corporations and reduced personal taxes for many with fewer deductions for home-buyers and families with steep medical bills. 0 Response to "House GOP revises tax bill, makes it less generous"